A couple months ago, I wrote a piece about seven spots in Pittsburgh to get some seriously good pizza. I focused on artisan pizza at places that are more of a dressed-up, sit-down experience. But as soon as that article went up, it was clear that another would surely follow. The comments poured in, ranging from friendly suggestions to less-than-friendly rants (about pizza and, curiously, about my beard). I had work to do. And so, armed with the recommendations of legions of commenters, friends and Internet reviewers, I set out to eat as much pizza as I could stomach. And I confirmed that pizza, so basic in its conception, leaves unlimited space for experimentation and variation. I tried pies thick and thin, gimmicky and straightforward, indulgent and restrained. Though some worked better than others, I can safely say that there is no one way to make a great pizza. We all know about a certain pair of Squirrel Hill parlors, both of which have a deservedly devoted following. (That’s Mineo’s and Aiello’s for those new to town.) But there’s a whole lot more to Pittsburgh pizza. Here are seven more places to get an interesting, authentic, or just plain delicious pie. The South Hills does not want for pizza. If you live there, chances are you’ve got a solid pizza shop right around the corner. But everyone seems to agree that of the many fine options, Fiori’s in Brookline is one of the best. 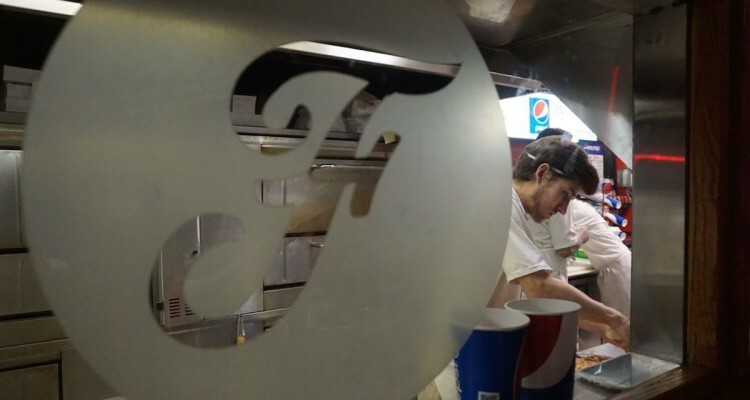 Though I visited on a snowy January night, Fiori’s was warm and bright, buzzing with happy customers and a gaggle of friendly young guys in (surprisingly spotless) white uniforms. And they make the kind of pies that most neighborhood pizza parlors only wish they could churn out. Super-thin crusts are loaded up with gooey cheese, and the toppings are a cut above your typical slice shop. Fiori’s is a friendly spot that makes blessedly gimmick-free pizza perfect for a weekly pizza night. And now with a location in McMurray, Fiori’s is supplying more of them than ever. Pittsburgh loves its cheese. And although a lot of the city’s most popular pizza joints pile it on (looking at you, Mineo’s), few can touch the dizzying cheesiness of North Braddock’s beloved Vincent’s Pizza Park. 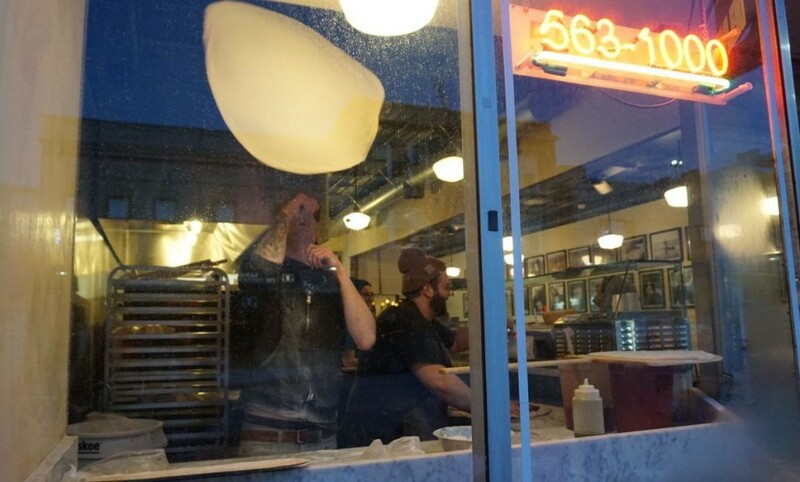 After closing briefly in 2012, Vincent’s is back, and they continue to make the same gargantuan “Vinnie Pies” that first brought them fame more than 60 years ago. The thick, airy crust is substantial enough to stand up to haphazard fistfuls of cheese and toppings, and you are left with plenty of it to dunk into the greasy mess that inevitably ends up on your plate. And unlike a lot of the places on this list, Vincent’s has a bright, spacious dining room attached to it. In fact, it’s probably best to enjoy your pizza there, as takeout pies are maddeningly packaged in butcher paper and cardboard instead of the traditional box. That minor annoyance aside, Vincent’s Pizza Park is the place to go for the ultimate pig-out pizza. On the opposite end of the pizza spectrum is Garfield’s Spak Brothers. Their menu advertises that they are “committed to offering food that is local, sustainable, and healthy whenever possible.” Not that this is a New Age-y, crunchy granola parlor—you can still get a delightfully greasy pie loaded with cheese and pepperoni. But Spak Brothers is unique in offering a number of vegan alternatives, including sausage, pepperoni and mozzarella substitutes. The toppings, veggie or otherwise, are high quality and applied generously, and the crust they adorn is flavorful and well cooked. Spak Brothers has found a loyal fan base among Pittsburgh’s young and hip, and with their low prices and accommodating menu, it isn’t hard to see why. Like I said, there is an awful lot of good pizza in the South Hills. Mt. Lebanon is particularly spoiled, with outposts of Il Pizzaiolo and Mineo’s practically next door to one another. But walk a block down Washington Road and you’ll find A’Pizza Badamo. A relative newcomer to the South Hills scene, A’Pizza Badamo is serving up some of the best pies in Pittsburgh. Pizza is a game of inputs and ratios: start with quality ingredients, then balance them so that every element can shine. A’Pizza Badamo absolutely nails it, perfectly marrying a chewy crust, unfussy sauce and a very tasteful amount of cheese. Their toppings are top-notch, but even a plain pie here is immensely satisfying. The atmosphere is hip without being pretentious, and the service is friendly and relaxed. 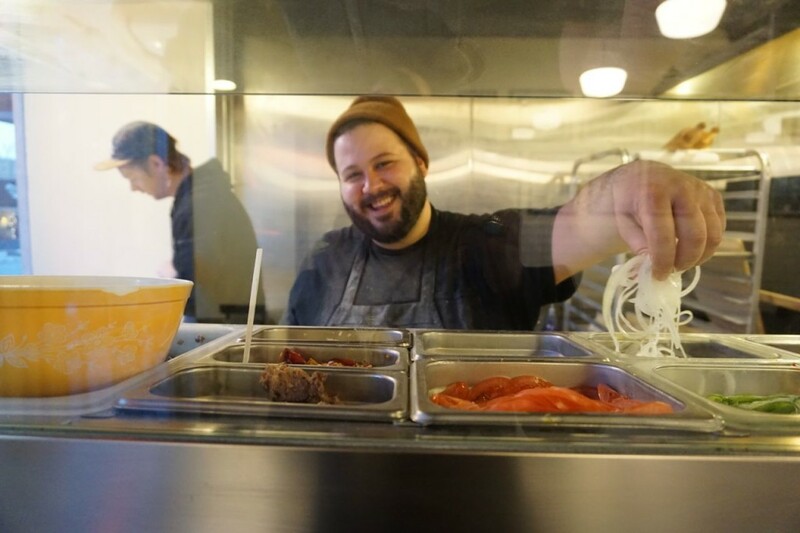 In a crowded market, A’Pizza Badamo stands out. If you weren’t looking for it, Frankstown Wood-Fired Pizza would be easy to miss. In fact, I was looking for it and still drove right by. Tucked away in a shoebox of a building in Penn Hills, Frankstown Wood-Fired Pizza isn’t much to look at. But don’t be put off by the humble facade and cluttered interior—this place makes some seriously good pizza. It’s baked, like the name suggests, in a wood-fired oven, resulting in a crispy, blistered crust. And with crust this good, there’s no need to get fancy with the toppings. The Pizza Margherita is a smart choice, adding only a chunky tomato sauce, fresh mozzarella and a few basil leaves to the mix. Frankstown Wood-Fired Pizza may be tiny, but the flavors coming out of it are very, very big. The sign in front of McKees Rocks’ Pasquarelli’s Pizza House proclaims that it’s the “Birthplace of Stuffed Crust Pizza Since 1973.” But don’t worry: this crust is not of the Pizza Hut variety, stuffed with a weird rope of rubbery cheese. Instead, Pasquarelli’s simply puts a bit of extra sauce at the edges, folds the dough over and covers the seam with cheese. 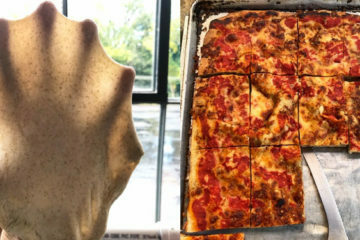 The result is a bit like getting a few bites of calzone at the end of your slice, and it’s delightful. That doughy little pocket, plus generous helpings of cheese and toppings, make for quite a filling slice. Pasquarelli’s is a no-frills, cash-only, off-the-beaten path sort of spot, and one that is well worth your while. If you had told me a month ago to drive half an hour to get a pizza, I would have said you were crazy. But then I had Frank’s. 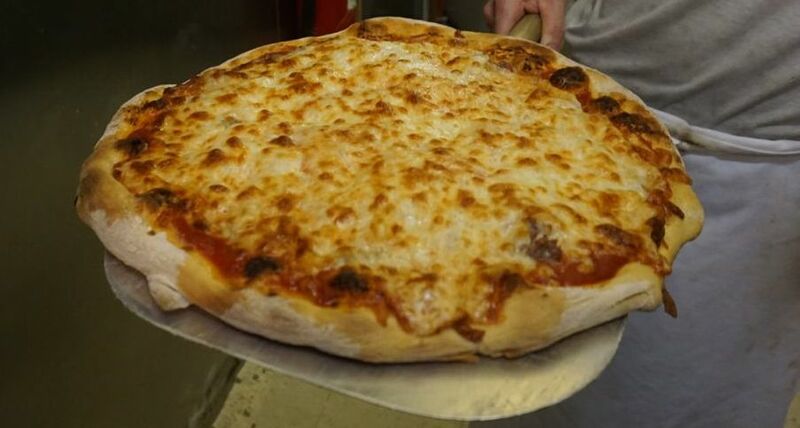 Located out in Ambridge, Frank’s Pizzeria has been making their signature “cheese-under-the-sauce” pies for over 50 years. And unlike plenty of gimmicks, this is one that really works. The cheese bakes into the bready crust, meaning no pools of grease on the surface (or in your lap). And this method highlights their excellent sauce, which is perfectly tangy and wallops you with fresh tomato flavor. Once again, this is a pizza shop that simply uses the right amounts of the right stuff, but the results are far from pedestrian. The menu at Frank’s is basic—no gourmet toppings, no salads. Just great pizza. Be sure to check out the following places that made our last list: Il Pizzaiolo, Mercurio’s, Slice on Broadway, Dinette, Piccolo Forno, Proper Brick Oven and Cucina Bella. And one that didn’t–Stone’s Neopolitan–that readers lobbied for as great margherita pizza that’s more affordable than the rest. 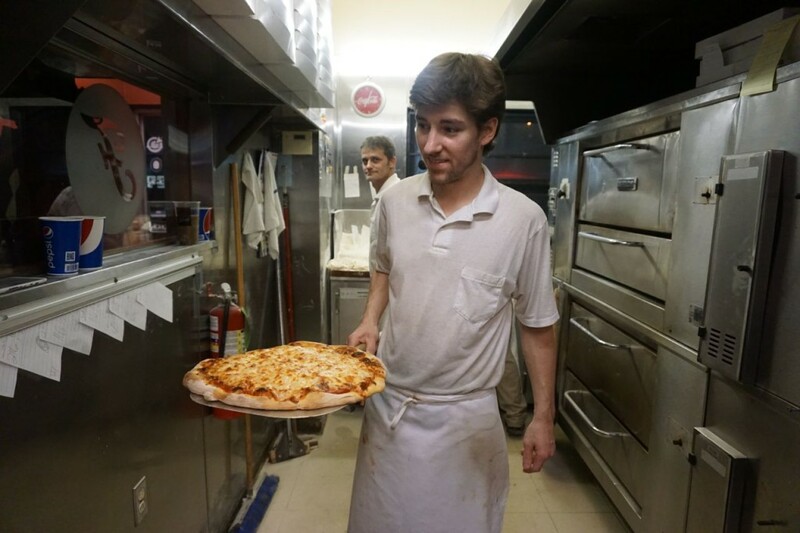 Got your own thoughts on Pittsburgh’s best pizza? Of course you do! Let us know in the comments.